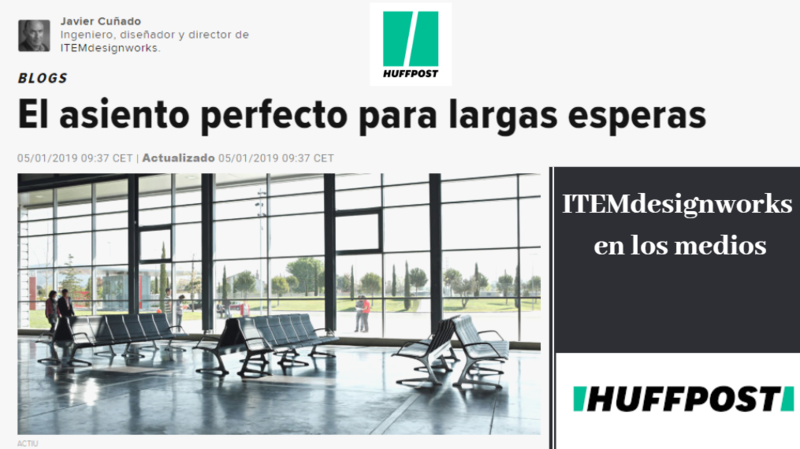 At ITEMdesignworks we want to share with you the article written by Javier Cuñado, our director, for the Spanish edition of the HuffPost, the well-known American online newspaper composed of news, opinion and blogs. Javier Cuñado explains in this article the creative process to design products and obtain the desired final result. With this aim, our director points out the different stages that designers have to go through to achieve the goal. In the words of Javier, “the creation process is exhausting but, for a designer, it is the most rewarding step of any design and product development process. One of the examples that Cuñado gives in his article is the successful creative process of the “Passport” bench for airports and passenger terminals that we have designed for the well-known company Actiu. Passport is the result of combining creativity, knowledge, innovation and functionality, the fundamental pillars of our philosophy. We invite you to read the full article by Javier Cuñado for the HuffPost: The perfect seat for long waits.